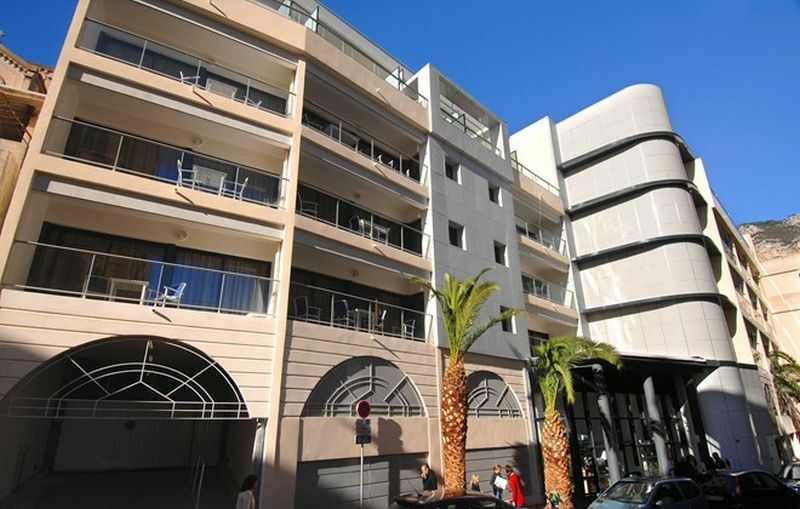 This studio accommodation is suitable for 2 persons and has an area of approximately 28m2. It consists of a living room with beds for 2 persons; a fully-equipped kitchenette (refrigerator, vitro-ceramic hotplates, microwave and dishwasher); a shower with toilet; and a balcony. Bed linen and bath towels are included in the rental price. All apartments have a satellite TV, WIFI access and air-conditioning. For an additional fee you can use the launderette and reserve a place in the covered parking lot (11 euro/day, limited spaces, subject to availability). You can also reserve final cleaning (prices starting from 63 euros, depending on the type of accommodation). Extra services must be paid locally. Beausoleil is a community in the maritime Alps in Southeast France. It borders Monaco. An important part of the city consists of beautiful Belle Epoque houses with overwhelming entrances. Interesting attractions are also the Gustave Eiffel, a covered market. St Joseph's monastery, a church with decorated stained glass windows and the Fontdivina fountain and bathhouse. It can be difficult to discover where Monaco starts and Beausoleil stops because the border is formed by streets and footpaths. Another attraction is the Stade Vanco, a well-groomed sports center. Places you should really see: Monaco with the casino, the exotic gardens, the oceanographic museum, beaches, the Rocher (palace and cathedral), the Louis II stadium and the Grimaldi forum with the conventions and events; Nice, there you will find the Promenade des Anglais, the old city of Nice, the Ch��teau, a tramway and more; the beauty and originality of the Riviera coast and the hinterland; Villefranche sur Mer, Saint Jean Cap Ferrat, Eze, Roquebrune Cap Martin, Menton, Sospel, Peille and Entrevaux. You can also visit Italy; Ventimiglia and the market can be found 20 minutes by car, as well as Marienland and Antibes.